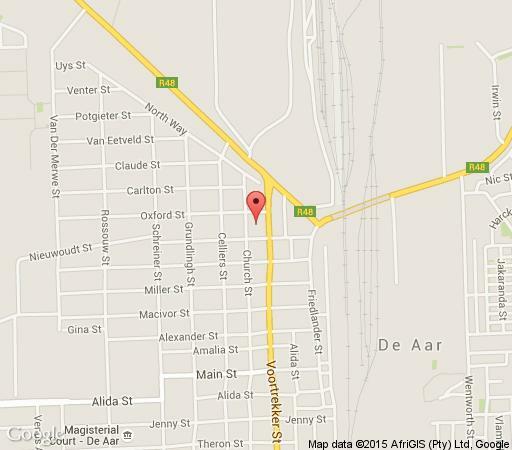 Situated on the main road close to the R48, Karoo Guesthouse is ideally situated for easy access to De Aar's town centre. True Karoo charm and fantastic food make a stay at Karoo Guesthouse a must. All rooms are en suite. Breakfast and dinner, prepared by a capable chef, are available on request. Private undercover parking is available for six cars. A swimming pool is available for splashing off the heat and dust of the Great Karoo. En suite rooms with a double bed.